Yesterday, a first blanket of snow covered our city, gone again today. But a clear sign of the coming winter, and just in time to the starting festive season. Today is the traditional opening of Nuremberg’s famous christmas market, or Christkindlesmarkt, as it is called by the locals. 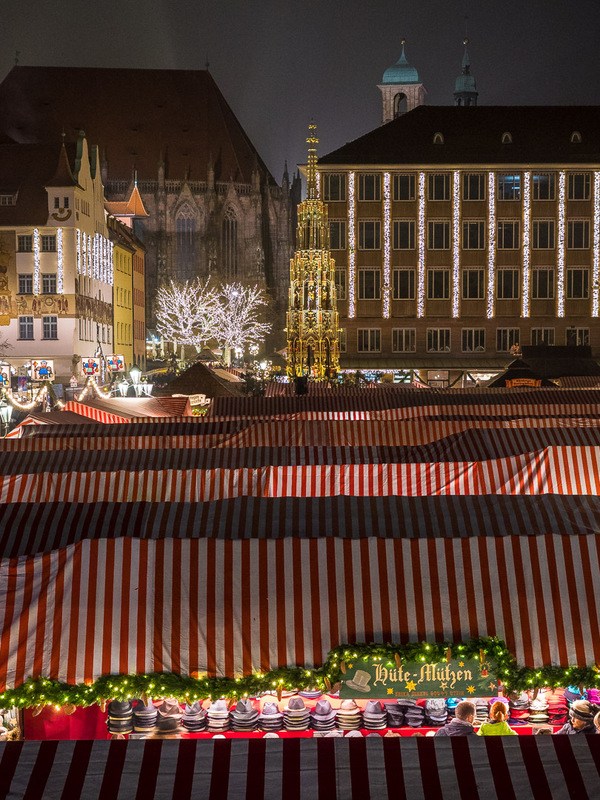 It takes place in the weeks leading up to Christmas (Adventszeit) on the main market square in front of the famous Frauenkirche (built in the 14th century), the wooden stalls covered by roofs of red and white cloths. 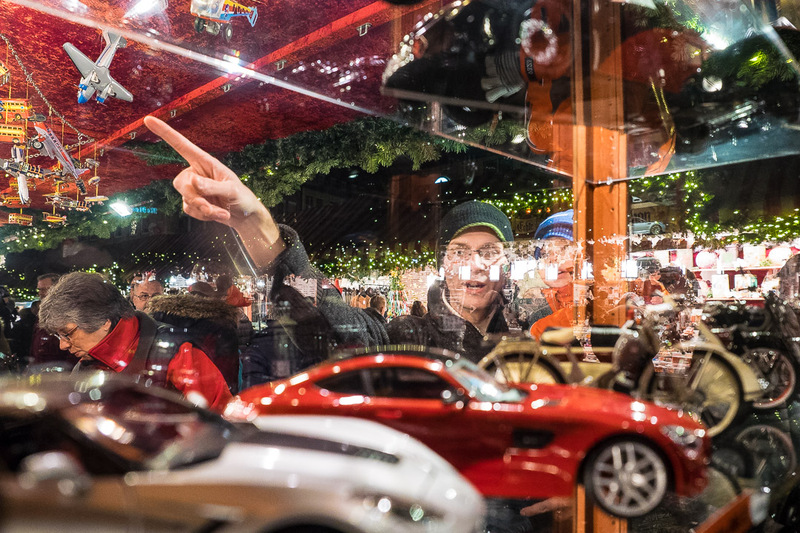 The roots of the christmas market can be traced back to the 17th century, and its one of the biggest in the country, with about 2 million visitors annually. I wish everyone a peaceful festive season, and a great weekend! 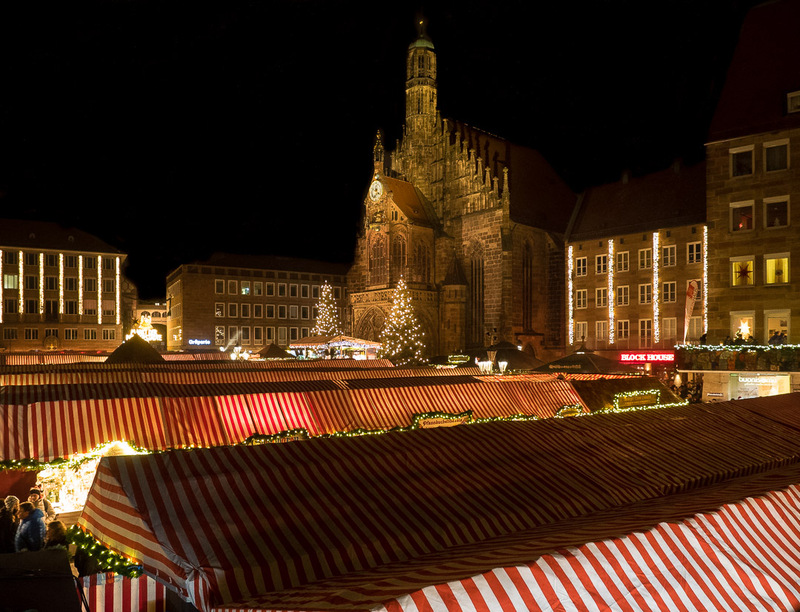 Nuremberg is a bit too far out for a visit to a Christmas Market. But your pics are certainly a recommendation to go to a nearby city in Germany (Muenster?) and enjoy the local market. Thanks for that. And I wish you and yours all things nice and happy for tht Christmas season. Marcus, your b&w is stunning. Well done. A festive time for you and your family. The Nuremberg Christmas market looks magical Marcus. Hope you get to enjoy some mulled wine and sausages! You can not imagine how I miss the smell and the lights of this scenario! 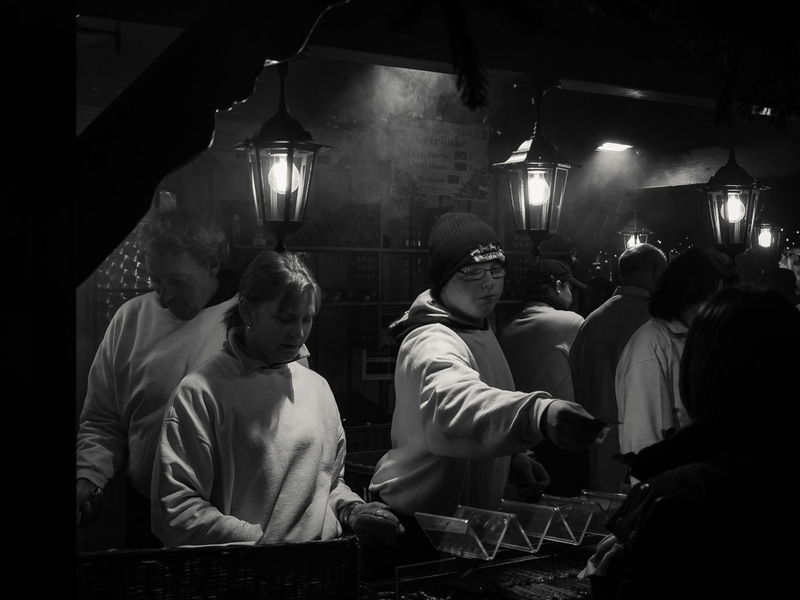 Every year I bake Nuremberg’s Lebkuchen for my family from scratch and just yesterday we had “Baggers” for dinner because I thought of all the delicious yummy food stalls while walking through the stalls in my mind and telling my family. Potatoes were there… Apple sauce too… so we three girls were immediately busy. Thank you for the photos. You too, Marcus! Surely will be watching out for more!